Solo travel has increased worldwide over the past few years. At a closer look at India, you would find that the southern part of the country has a number of destinations with travel potential and are also safe for solo travellers. Solo travellers basically look for places that are not too crowded where they can move independently without being in trouble. South India offers a huge variety of travel destinations that one can choose from. Depending on your budget and the kind of traveller you are, here is a list of some exotic tourist spots of South India. Andhra Pradesh is not a state that's popular for its hill stations. However, Araku Valley, the only hills station in the state is worth visiting. This place is just about 115 km away from Vishakhapatnam (Vizag) and the road journey from Vizag to the valley is full of spellbinding sceneries. The word Hampi is enough to take you through a virtual tour to the ruins of temples and other structures in the city. This ancient city that has a mention in the epic Ramayana, is famous for the ruins of these temples that speak about the majestic life led by the Kings of those times. The Hampi Group of Monuments has claimed its position among the UNESCO sites in India. It takes around 6 hours by road to reach Hampi from Bangalore. A journey through the backwaters in Kerala is a rewarding experience. 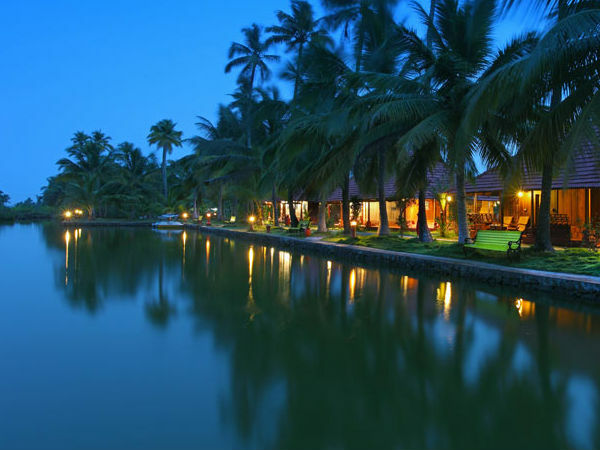 To listen to the soft music of the ripples and relish the spicy and rich Kerala cuisine would be a great experience you shouldn't miss if you visit this place. Vembanad, Kumarakom and Alleppey are popular for houseboats here. The confluence of the Indian Ocean, Bay of Bengal and Arabian Sea is what makes Kanyakumari a must-visit among travellers. Solo travel gives you the choice of sitting idle by the shores and watching the sunrise and sunsets that throw a hundred hues into the sky in just a few minutes! Located in Tamil Nadu, it is close to Karnataka and Kerala too. Just an overnight journey from Bangalore would take you to this beautiful place! The famous Ayyappa Temple of Sabarimala is located close to Pamba in Kerala. To reach here one has to go through a trek through the forests barefoot. From Erumeli the route to Pamba is a challenging one with dense forests and thus, it is a dangerous trek route too. Around 60 km of trekking would take you to Pamba river that's considered sacred among Hindus. After this adventurous trek, one can take a dip in this holy river and can also pay a visit to the famous Ayyappa temple of Sabarimala. A journey through the best of South India would be even more exciting if you would be completely free and independent as to choose your favourite destinations and enjoy the best of the region the way you've always wanted to!